"No Batmobile or Batwing... but I still have this body." 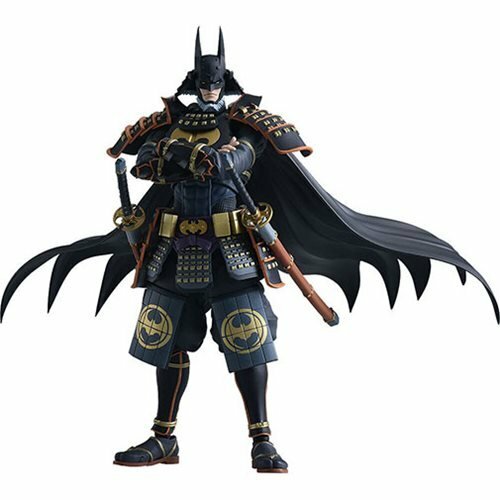 From the anime film Batman Ninja comes the Batman Ninja DX Sengoku Edition Figma Action Figure! 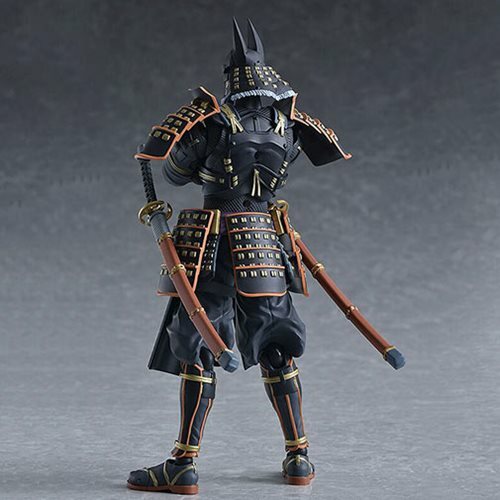 The smooth yet posable figma joints allow you to act out a variety of action scenes. A flexible plastic is used in specific areas, allowing proportions to be kept without compromising posability. Batman's cape is made from fabric featuring bendable parts allowing for various situations. 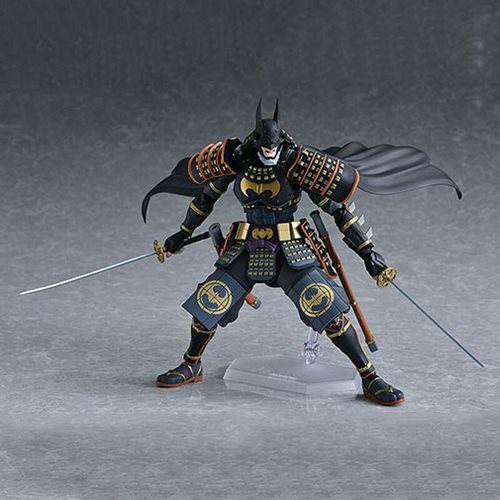 He comes with two face plates, including a glaring expression and a powerful shouting expression. 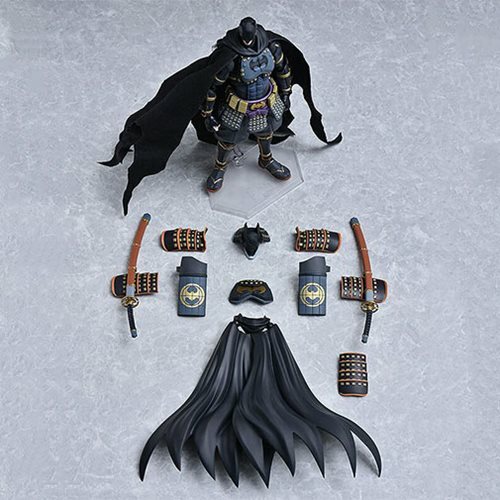 Optional parts include two swords, a bat kunai and throwing effect parts for the bat kunai. 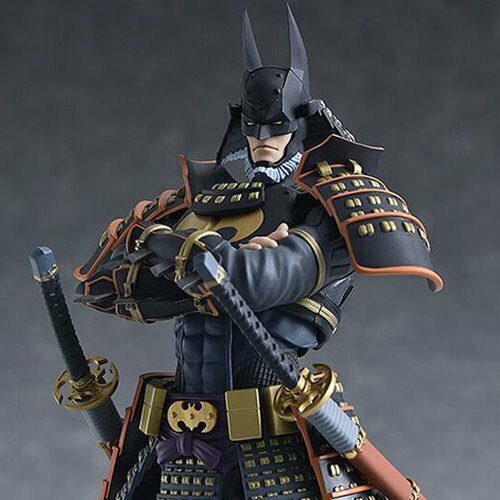 The Batman Ninja DX Sengoku Edition Figma Action Figure also includes the armor parts to recreate Sengoku Batman, as well as crossed arm parts. Measuring roughly 6-inches tall, an articulated figma stand is included as well.